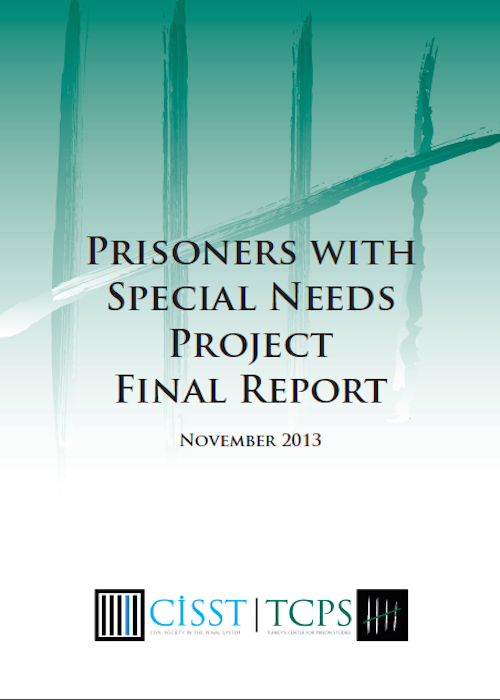 The Prisoners with Special Needs Project began in November 2012, lasted a full year, and ended on November 2013. This project, dealing with prisoners with disabilities, LGBT prisoners, foreign national prisoners, and elderly prisoners, aims to make their conditions clear, to identify problems, and design solutions for these problems. Furthermore, it aimed at raising awareness within the relevant nongovernmental organizations, and make them execute activities regarding prisons. 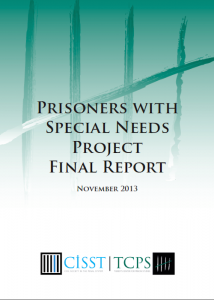 The third and final goal of the project was to create documents relating to prisoners with special needs at the end of the project, and to bring these documents to the public’s attention as well as to present it to the lawmakers, coordinators and directors of the prisons in order to make improvements in the prisoners’ lives. In order to achieve these aims, the project was carried out in three stages. In the first phase; meetings were arranged with non-governmental organizations working in the area of prisoners with disabilities, LGBT prisoners, foreign prisoners and elderly prisoners. The issues regarding prisons and prisoners provided were included in the agenda of these civil society organizations and the first step was taken in order to facilitate the next stages of the project. In the second stage of the project; three prisons in Istanbul were visited with the attendance of representatives of these civil society organizations. The Ministry refused to allow prisoners to be interviewed during these visits but the living areas of the prisoners were seen and information was received by the prison authorities. In the third stage of the project, the information obtained from the beginning of the project was identified and evaluated with the contribution of civil society organizations.